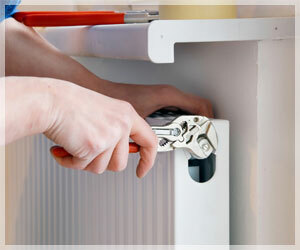 Trying to find a Central Heating Boiler service when needed can be difficult especially trying to find a reliable plumbing company London based Central Heating Boiler service, prices can be expensive but with AMR Contractors we assure you that you'll be reasonably priced on your Central Heating Boiler Service. All work on any Central Heating Boiler Service are carried out by qualified gas engineers who are gas safe registered engineers which can be found on the gas safe register. Central Heating Service maintains the efficient working of your radiators ensuring that they warm up to their full potential. Power flushing is sometimes needed for central heating systems which are affected by sludge settling at the bottom of radiators causing radiators to take long to warm up and work less efficient which will burn more gas. Power flushing by our Central Heating Service can remove the build up of sludge in your central heating system and help prolong the life of your Combi Boiler. A Central Heating system in this state will also need the heat exchanger in the Combi Boiler Cleaned, as sludge can build up inside of the Domestic Hot Water Heat Exchange.